Anne Frank: The Diary of Young Girl transcends the labels of genre. Yes, as the title suggests, it is a diary, but it is also a memoir, a narrative, an argument, an expository journal, an informational text, and much more. Yet, these genres listed are treated as separate and distinct in the reading and writing standards of the Common Core (CCSS). The standards emphasize the differences between the literary and informational genres. The standards also prescribe what percentages much students should read (by grade 12 30% literary texts/ 70% informational texts), what genres of writing they should practice (narrative, informative/explanatory, argumentative) and the percentages students should expect to communicate in these genres by grade level. In the real world, however, the differences between genres is not as clear and distinct as neatly outlined in the standards. The real world of Nazi occupied Holland was the setting that produced the defiant Diary of Anne Frank. On June 12, 1942, Anne Frank received a red and white check autograph book as a birthday gift. This small volume was soon filled by Anne as a diary, the first of three separate volumes, as she her family and friends hid in the secret annex. A diary is a daily record, usually private, especially of the writer’s own experiences, observations, feelings, attitudes. Anne’s narrative in these diaries provides a sequence of events and experiences during the two years she spent hiding with others behind the bookcase in the attic where her father had been employed. A narrative is a story or account of events, experiences, or the like, whether true or fictitious. 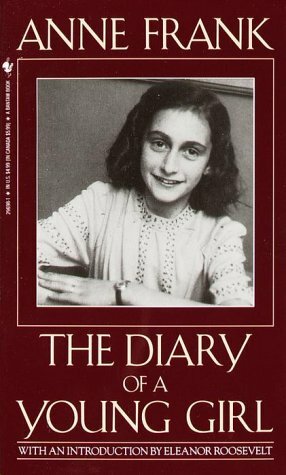 In June of 1947 Anne’s father Otto Frank published The Diary of Anne Frank, and it has become one of the world’s best-known memoirs of the Holocaust. A memoir is a written account in which an individual describes his or her experiences. Expository writing’s purpose is to explain, inform, or even describe. A persuasive argument is a writer’s attempt to convince readers of the validity of a particular opinion on a controversial issue. Anne’s opinion about the goodness of people during the horrors of the Holocaust is a remarkable argument. 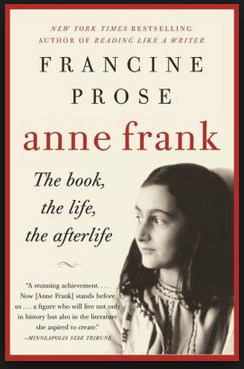 The Diary of Anne Frank gave rise to other genres. Anne’s diaries served as the source material for a play produced in 1955 and then as a film in 1959. The genre of The Diary of Anne Frank, however, should not be the focus, or the reason for its selection into a curriculum or unit of study. Instead, it is the quality of the writing from a young girl that makes the diary a significant contribution to the literature of the 20th Century. Romein’s review elevates the “apparently inconsequential diary” as testimony in making a legal case against the Nazi regime. It is that power in Anne’s voice that makes her diary a powerful text to offer students, whether it fits the percentages in a CCSS aligned unit of study for an informational text or not. For there is poetry in that entry as well.